BMW G310SS, the full-faired G310R with dual front headlight and impressive exhaust design, was recently revealed along with the standard roadster. For those who think they have seen this one before, the moniker G310SS was earlier seen as RR at an auto show in Japan. The model is an example built by A-Tech to showcase how an impressive machine can be made out of the G310R. 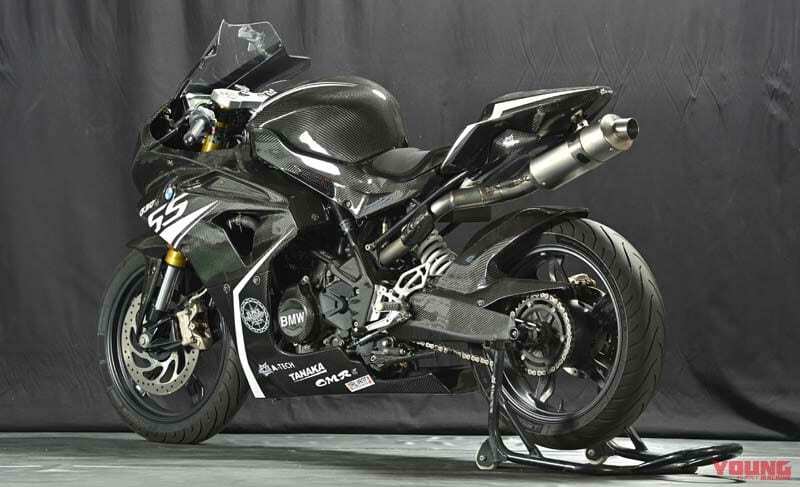 They earlier named it G310RR, which sounds more like the name for production version from the German brand. It is possible that BMW has directed them to change the name so as clash is avoided once the actual version is launched worldwide. A single platform can spawn multiple motorcycles and G310R has already given space to BMW G310GS as well as TVS Apache RR310 for their individual existence. 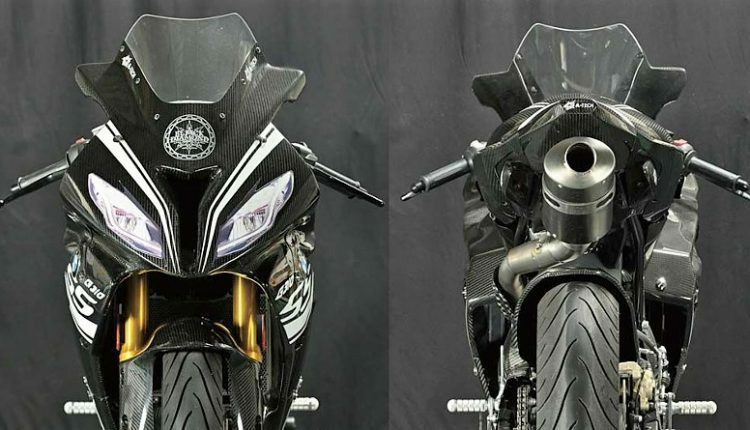 The fully faired version from TVS flaunts impressive styling, hinting that BMW will move one step forward to achieve an even sharper front end like the one seen here through G310SS. 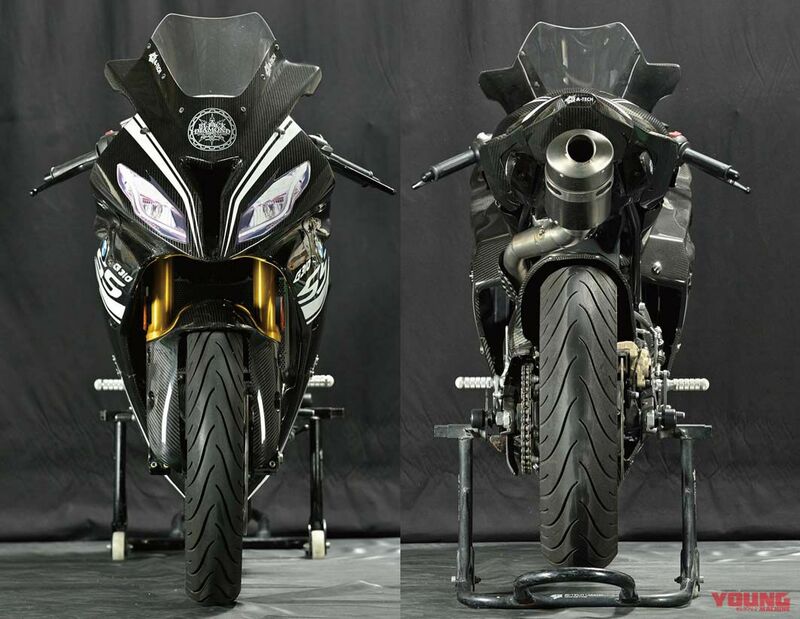 The majority of parts will stay similar, helping them cut cost for the sportbike effectively. The front suspension stays upside down while rear witness an addition of under seat exhaust system with a single muffler. The free flow unit may not make it to production. 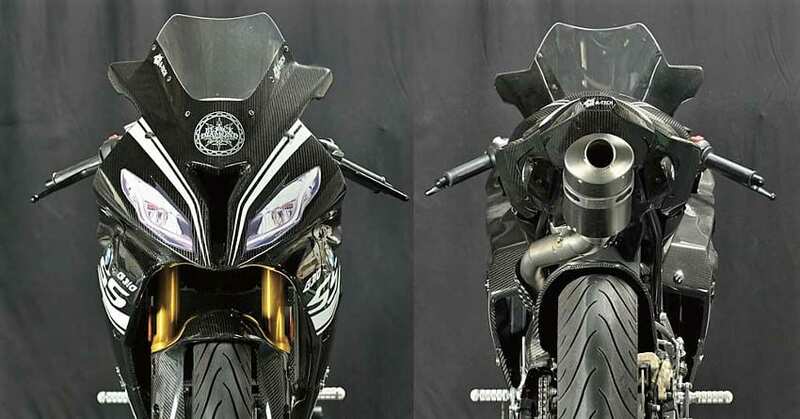 As TVS Apache RR310 also shares the same exhaust as G310R, BMW G310SS or the production-spec G310RR will also prefer part sharing for more value. 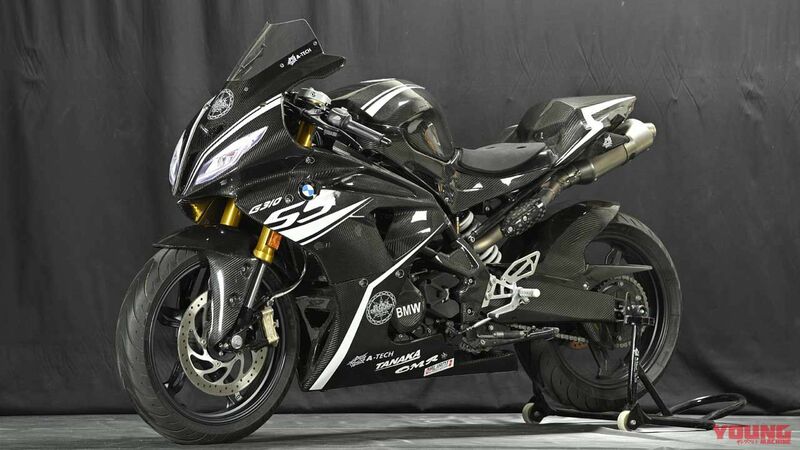 The iconic alloy wheels, massive fuel tank and impressive BMW frame will mean unmatched stability, exclusive styling and pure sportbike performance. The 313cc, single-cylinder engine will remain identical, producing 34 HP at 9500 rpm and 28 Nm at 7500 rpm. G310SS will weigh around 165 kg and claim more than 160 kph of top speed. The carbon fiber finish seen here will be limited to the exclusive SS version from A-Tech only.